We know that Google hates slow websites. If you have good quality content but your website loads very slow, you will not get Good search engine ranking for your target keywords. Visitors also hate slow website because no one wants to wait while they have millions of other choices. So, you should always try to improve the speed of or your website. If we are using WordPress, you can use caching plugins to improve WordPress blog speed. New WordPress installation is always fast. When we install the custom theme, few other plugins, and content, Speed of WordPress blog decreases As the number of post increases, it affects the load time. Each time a visitor request for a page, it runs many queries and loads lots of images on the visitor’s browser. To reduce the load time, caching is the recommended process. For WordPress, there are many nice Caching plugins available which we can use to speed up WordPress based website. Wp Super Cache is the most popular caching plugin for WordPress. It comes with easy to use interface and very few settings. For users using shared server, this is must have plugin. This plugin cache all your WordPress posts as static HTML page and serve it to visitors. Thus it reduces many database queries and reduces page load time. It also comes with CDN support. If you have any CDN service purchased, you can configure WP Super Cache along with CDN. W3 Total Cache is another popular WordPress caching plugin that is used by many popular WordPress blogs including mashable.com, smashingmagazine.com, makeuseof.com, and yoast.com. This plugin caches static content of your pages and comes with built in CDN support. You can easily configure CDN with this plugin. It also has easy options to configure CloudFlare free CDN and other caching methods. In case you have the problem in using this caching plugin, you can get paid support from developers. Hyper Cache Extended is a nice caching plugin for WordPress based websites. It is recommended for the website hosted shared hosting. This plugin has many nice features. It is easy to configure and can manage bot gZip and plain compression. It also caches redirection and 404 pages. DB Cache Reloaded Fix plugin is based on the plugin DB Cache Reloaded. It improves that plugin and aims to speedup your website. It also uses very small disk space to cache files. unlike other plugins that cache HTML pages, it cache database. So, users will always see the latest version of the given page. Although the plugins claim many things but you should prefer Wp Super cache or W3 Total cache. MO Cache is a simple caching plugin that has no configuration option. It is a simple plugin with very few lines of code. It is used for caching translation files. You can use it with other caching plugins and see how translation files will load fast. 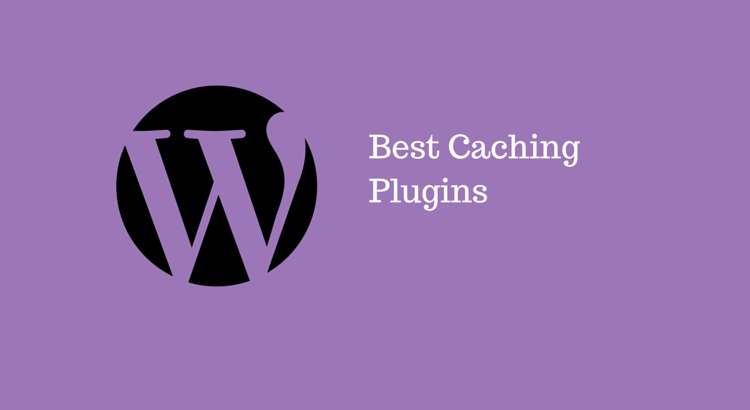 These are 5 caching plugins for WordPress websites. Each Caching plugin comes with its own advantages. So you should choose the any WordPress caching plugin wisely. MO Cache is used for caching of translation pages. But other 4 plugins do similar kind of job. w3 Total Cache or WP Super cache are recommended. If you have the problem is using them, you can use other given plugins. Which Caching plugin do you use in your WordPress blog? Share your favorite plugin with us.